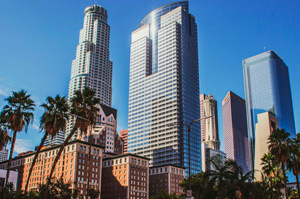 From our headquarters in New York City to our west coast office in Los Angeles, Pavillion Agency services clients all over the United States and throughout the world! Since 1962, Pavillion Agency has provided an unmatched level of residential staffing services that well-respected New York families have come to rely on. Arguably America’s most vibrant city, the Big Apple asks a lot of its citizens and gives them just as much in return. 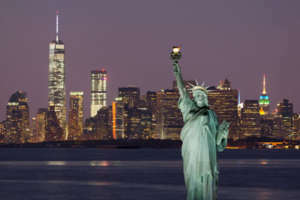 The countless opportunities NYC life affords, continuously attracts wealthy entrepreneurs and successful families from around the world, many of whom value luxury and comfort. Recruiting and retaining well-trained, experienced household staff is a key element in the maintenance of such lifestyles. Pavillion Agency’s exceptional ability to understand these values and identify the priorities unique to each client, has kept us in business for more than five decades! We proudly maintain state of the art full floor office space in the same mid-town building for over 50 years, conveniently located off trendy Fifth Avenue by the New York Public Library! Our clients find comfort interviewing candidates in our private conference rooms with complete discretion, while applicants find it convenient to visit us for their personal interviews. We are a single source solution for all your household staffing needs. Our staffing firm offers job placement services (permanent, temporary, or temp-to-perm), payroll processing, benefits consultation, and in-home staff training. Let us show you the Pavillion Agency difference! California is home to many of our nation’s most prominent and influential families. They have created their success in a multitude of industries, contributing to a state economy that is unsurpassed in size and diversity. From the nexus of global tech industry innovation at Silicon Valley and the San Francisco Bay Area, to the creative capital of the world in Los Angeles – California is the definitive robust economy of our nation. In fact, were it a sovereign nation, California would have the world’s 5th largest economy – ahead of Great Britain. That’s robust! The families who steward this success and continue to drive innovation have a discerning need for quality household staff. With the opening of our Los Angeles office, Pavillion Agency is poised to service these families more personally and adequately than ever before. Having a physical presence in Los Angeles will also enable Pavillion to interface directly with all of the eager and talented personal service professionals who are searching for work in this field. In turn, our clients can rest assured that they are getting the attention and service that only a local office can provide. Our clients and candidates spoke, asking for a greater national presence. We listened, responded, and are excited to begin this new chapter of serving such a vital market. So, in the spirit of our nineteenth century countrymen who migrated west in search of California’s gold, Pavillion Agency is now open for business in the City of Angels… Eureka! Pavillion Agency has been servicing clients in Southern Florida for over five decades. With a growing demand for our services, we proudly opened Pavillion Agency’s Miami Beach offices in 2012, satisfying the demand for personal service staff in this rapidly expanding market! 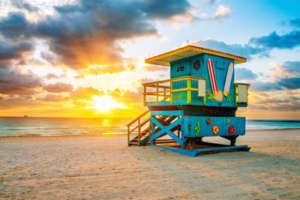 Home of pristine white sand beaches and turquoise water, the Art-deco capital of the world, Miami has become a leader in finance and commerce, culture, media, entertainment, the arts, and international trade. This city is officially classified as an Alpha-World City, otherwise known as a Global City and is regarded as “the place to be”. Its affluent residents have class and taste, and they expect the highest degree of personal service. Having a presence in this fast growing metropolis, helps us better serve our clientele from Miami down to Key West and up to Palm Beach! We have developed a strong following among the higher echelon of personal service professionals throughout Florida, enabling us to fulfill the demands of our esteemed clientele. What sets Pavillion apart? We are a single source solution for all household staffing needs.